For cookie exchanges, Christmas parties, school functions and just to eat, these go-to Christmas cookies are simple and festive. Ring in the holiday season by filling your home with the delicious scent of fresh-baked cookies—and filling tummies with their delicious taste! 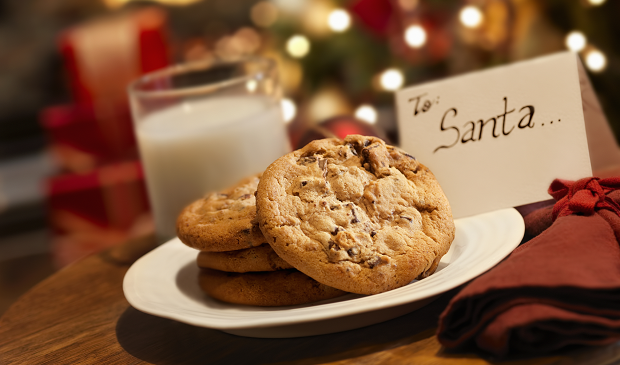 Let us know what cookie is your favorite on Twitter or Facebook. Make this fun sandwich cookie for Christmas, or throughout the winter season. With shredded coconut on top, these cookies become puffy snowballs in no time. Kick your Christmas baking up a notch and impress your guests with this fancy spin on a comforting classic. For a decadent dessert, serve these rich truffles with coffee or eggnog. Roll them in red and green sprinkles, or dip them in white chocolate for a fit-for-Christmas treat! Instant pudding makes this is an easy Christmas dessert recipe. With their light green color and the dots of red from the cranberries, these pistachio flavored cookies look elegant and delicious. A crisp cookie topped with white chocolate and crushed peppermint sticks—Yum! We’re always updating our seasonal recipes on Pinterest. Keep reading our blog for recipes and other homeowner resources.